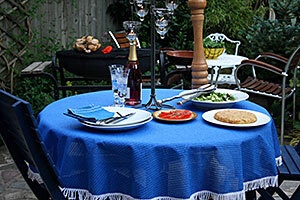 The Isagi StayPut Outdoor Tablecloths are an attractive weatherproof tablecloth that also gives a non-slip surface. 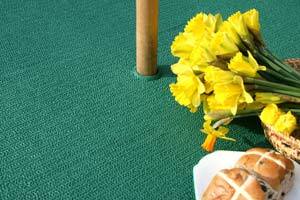 Ideal for the garden, patio, balcony or caravan table, or even laid on the grass for an outdoor picnic, the tablecloth material helps prevent plates and glasses from slipping or sliding. 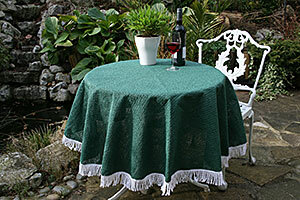 Available in Circular, Square or Rectangular shapes, and with or without a parasol hole.